Lightroom toolbar, screenshot taken from Lightroom Fanatic. Toolbar of RawTherapee for the Exposure settings. This is the first thing that the user edits. 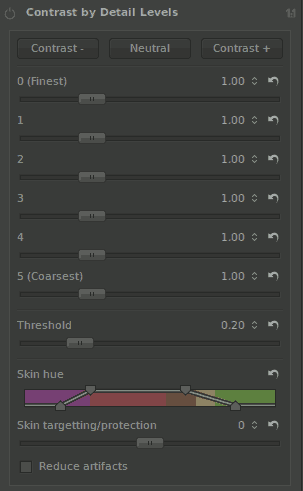 Options of contrast by detail levels in rawtherapee. Yes there is a lot of documentation, but the available settings are better suited for the research scientist rather to the simple photographer or user.